Imagine the torture of going past a waffle place every day on your commute, knowing there was nothing you could have. Then imagine the delight of spotting them using #vegan online! Yes, it turns out that Wafflin is extremely vegan friendly. 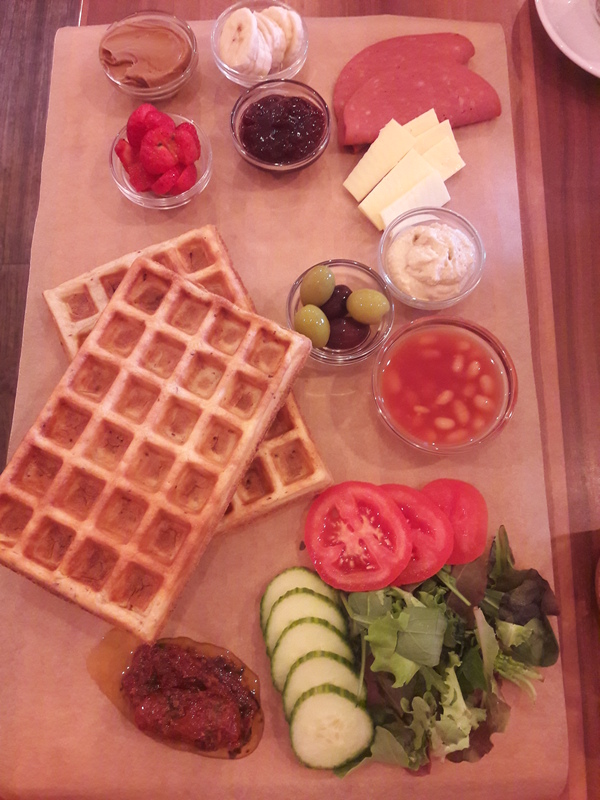 It operates as a build-your-own-waffle spot, and also serves a set brunch. The build-your-own waffle option is incredibly exciting, largely because I love placing my order by ticking a list! 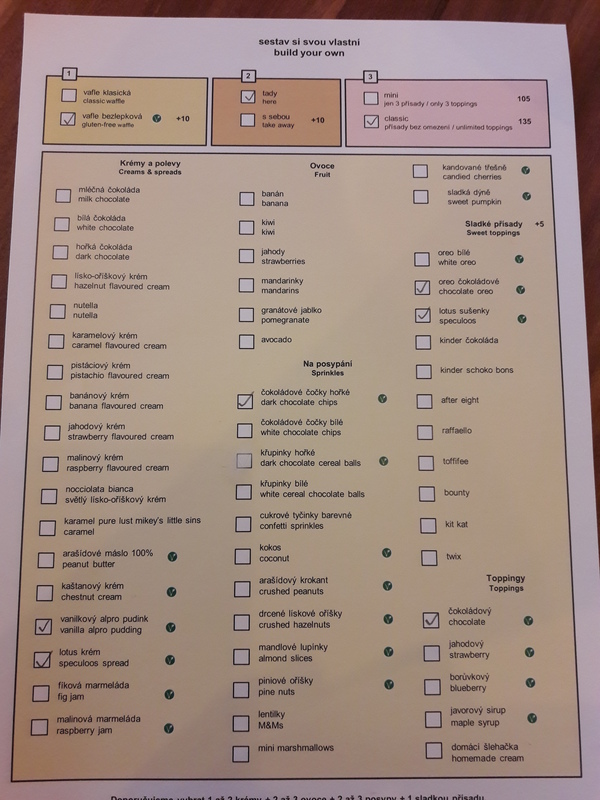 Everything is in both Czech and English, and the vegan options are clearly marked (don’t forget to tick for vegan waffle at the top as well). There are so many vegan options – fruit, speculoos biscuits and spread, Oreos, chocolate chips, peanut butter, maple syrup…you can really go to town. I was a little disappointed that they didn’t have any vegan whipped cream, but instead they offer Alpro vanilla pudding, which is a very pleasant alternative. Basically, you can go big on these waffles. And if you fancy something savoury, well, look no further than the brunch menu. Yes, there’s a vegan set brunch menu as well! I’m not crazy about having sweet and savoury things on the same plate, but I handled it well. We shared this between two of us, but you can get an extra waffle if you think you’ll need it. The savoury toppings were sun-dried tomatoes, salad, baked beans, olives, hummus, cheese, and ham – all solid options. And the sweet things were jam, strawberries, fruit, and speculoos spread. 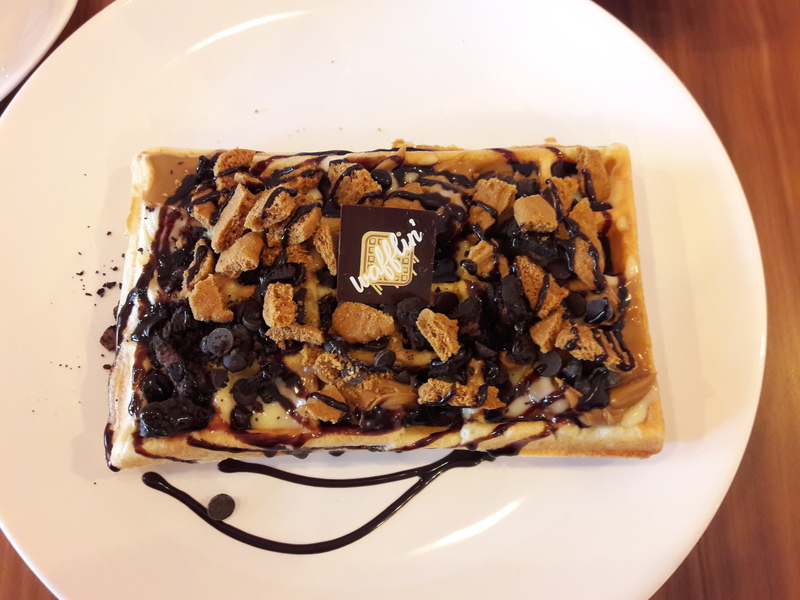 It was quite exciting, but I think I’d probably go for a crazy, indulgent, sweet waffle again next time. Which hopefully will be soon! 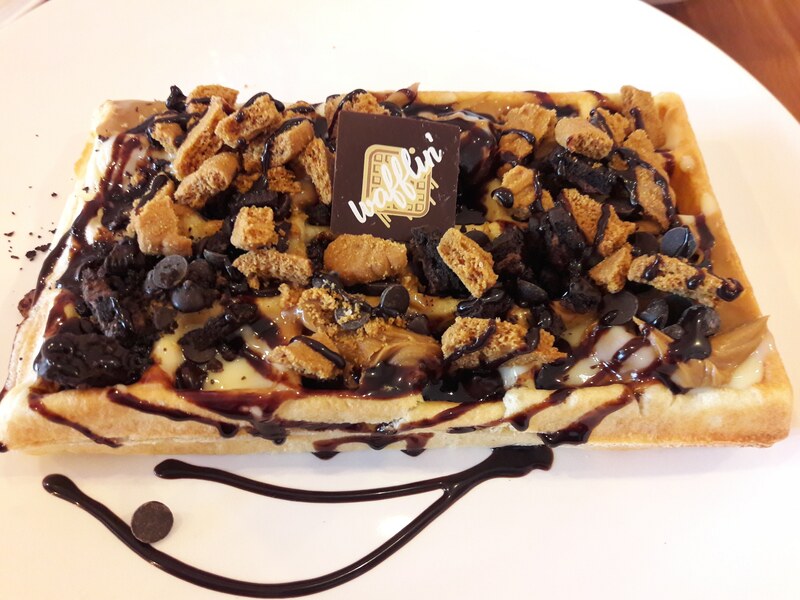 Sweet or savoury, what’s your favourite waffle topping? 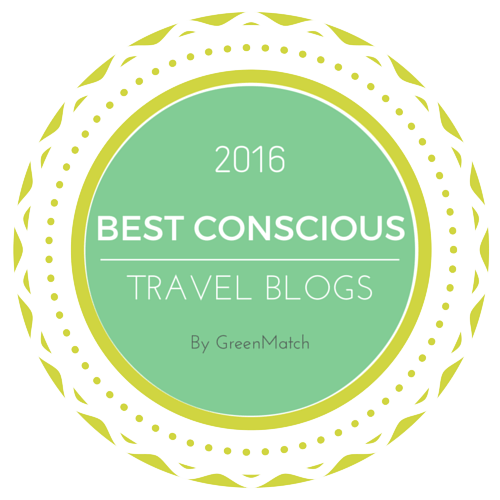 This entry was posted in Travel, Vegan Mofo and tagged vegan Prague, vegan travel, veganmofo18, Wafflin Prague vegan. Bookmark the permalink. I’m more savoury but the only waffles I’ve had recently are sweet bubble waffles. The Spread Eagle are gonna start doing brunch in October and they have chickn waffles on the menu so can’t wait to get that! Oooh, exciting news about The Spread Eagle – I’ll continue my efforts to attempt to get in! The build-your-own-waffle option sounds so fun, and the one you got looks incredible! The brunch plate looks nice, too, but I still think I’d stick with sweet waffles! Yes, I’m definitely building my own sweet waffle again next time! I miss belgian styled waffles. The one near us would put big sugar crystals in the batter, which was kind-of like sugar pretzels… if that makes sense. Getting cookie butter on waffles sounds amazing! Oooh, those sugar crystals sound amazing!